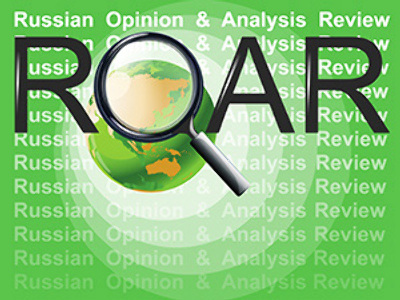 This Tuesday ROAR presents long-term threats to Russia and the world through the eyes of Russian analysts. ROSSIYSKAYA GAZETA publishes an article by political scientist Leonid Radzikhovskiy titled “Dangers and Fears”. The academic writes that while reading the recently announced National Security Strategy of Russia up to the year 2020, he started thinking of threats and dangers: both those that are mentioned in the document and those that are not. Radzikhovskiy writes that there are three types of danger awaiting any entity, therefore eligible for a nation. One – an absolute danger of total destruction and annihilation. Two – a relative danger of the loss of habitual way of life, living standards and self-esteem. Three – a comparative danger of losing competition to others and becoming obsolete and irrelevant. The writer says that the first type of danger is practically non-existent for Russia, because there is no nation in the world that plans to conquer and divide it (the last one was Nazi Germany), there is no legal base for separatism and civil war (unlike Soviet republics, Russia’s provinces do not have even the theoretical right to secede from Russia), all attempts at practical separatism have met a strong government response and vanished (example – Chechnya). Besides, he adds, the world community will hardly allow a civil war to break out in a nuclear superpower nation (look what a stir is caused by the unrest in Pakistan whose nuclear arsenal is nothing compared to Russia’s). So far, writes the author, the threat of Russia’s ‘falling apart’ belongs to the realm of fears rather than real dangers. It doesn’t mean that Russia needs no strengthening of its armed forces or intelligence/counterintelligence capability, but it does mean that there may be other dangers waiting in the shadows. The real and present dangers of the day, continues Radzikhovskiy, are of the two latter types, and they are interconnected: the relative danger and the comparable danger are both reflected in the way Russia has been losing its competition with the other major players in the world – politically as well as economically. The growing gap between Russia and other leading nations in science and technology, in the economy and living standards is more and more telling on the nation’s development, its self-image and its self-esteem. 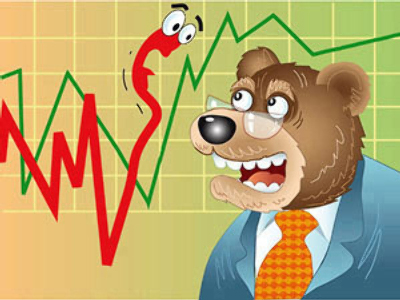 There was a period in the past 20 years, in the early 2000s, when Russia was in a positive creative drive, says the author, and to that period we should be grateful for the boom that followed and for the fact that Russia regained its rightful place among the leading economies of the world – even being in the eighth place (a hundred years ago Russia was the fifth after the US, Britain, Germany and France. Now there are Japan, China and India on the same list too). However, continues the academic, we are behind everyone in Europe in terms of life expectancy, and in the BRIC grouping we are the only nation whose growth rate has actually dropped by 9.5% in comparison with the first quarter of 2008, while all others simply slowed down. The drive, the energy, the social passion of the early 1990s and early 2000s is gone from Russian society, replaced by the fashionable idea of living off interest from energy exports and related businesses: a wish to sit tight and consume steadily instead of an urge to struggle for and to seek a better way to make a good living. Radzikhovskiy says that if the fashion for economic freedom, a fashion for freedom and economic competition does not return to the Russian domestic scene, the nation will definitely lose the competition in the outer world – where nothing is expected or given, and where the conditions of every competition are the strictest. KOMMERSANT publishes an article by Dr. Dmitry Mosiakov of the Institute of Oriental Studies, The Russian Academy of Sciences, on the latest nuclear test by North Korea. The academic says that the test must become the point at which all illusions the world community has been harboring about the North Korean regime’s capability of speaking the same language with the rest of the world are lost and forgotten. The test is also a logical result of nearly twenty years of political efforts aimed at allowing Pyongyang an entrance into world politics in exchange for accepting the rules of the game as it is played by the rest of the world. There are several reasons for this failure, continues the academic. Firstly, the North Korean political system is based on principles which have everywhere else been abandoned for over seventy years: the ‘encircling’ of the country by enemies, a foreign aggression expected at all times, thus leading to the mobilization economy and total control over information. The second factor is the total lack of understanding of what to do with North Korea among the leading world powers involved (the US, Japan, Russia, China). The policy pursued in the past years was aimed at the discontinuation of Pyongyang’s nuclear program instead of changing North Korea from the inside. Thus the sticks-and-carrots of getting all friendly with the ruling Kims, interrupted by periods of severe economic sanctions, always ending in a new set of negotiations. That policy only persuaded the rulers of North Korea that the world community seeks nothing else but regime change. The third factor, says the author, is the spectacular collapse of the socialist system. That taught the leaders of North Korea that any compromise with the capitalist powers puts their regime in great danger. The academic says that a new approach is needed: the world community, using “soft power” should initiate the process of change inside North Korea. The nuclear test also shows that the regime is desperate for “strong” responses to outside pressure. That may mean not only the end of illusions about the regime but also the beginning of the end of the regime itself. That means that soft power is the only available tool – and that sooner or later it will work.